Facilitated by Julie Baroh, Krab Jab Studio hosts art shows featuring art by local artists as well as art by publication and game illustrators worldwide. 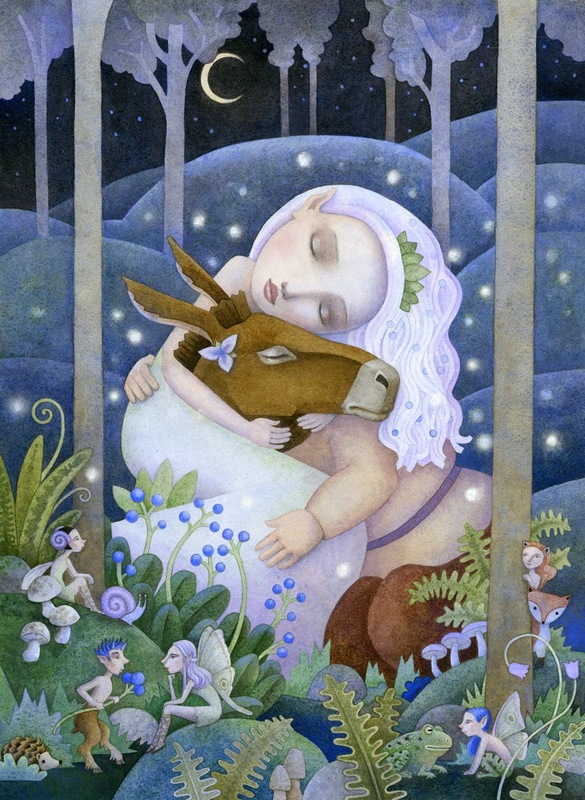 Shows feature original artwork as well as giclees, books and cards by our featured artists. I kind of hate the word "fairy". It's true. I wince when I say it, even after all these years, I can't say it with a perfectly straight face. It's not the subject I detest, of course. It's the connotations that it drums up for me (and many others): Tinkerbell (Disney version), crazy old ladies who claim to see them in the potted plants on the kitchen window, pink tulle, prancing, and worst of all... really, really bad art. And lots of it. I always feel like I have to defend myself when I say, "I make fairy art." People scrunch up their noses and say, "Oh, really?" in such a way that I might have well just said "I finger paint glitter while barefoot in the moonlight while the invisible little folk that live in my sofa do a happy jig on the ceiling." It's like all my years in art school just flushed down the toilet, my IQ just dropped 40 points and I probably can't draw anatomy to save my life. 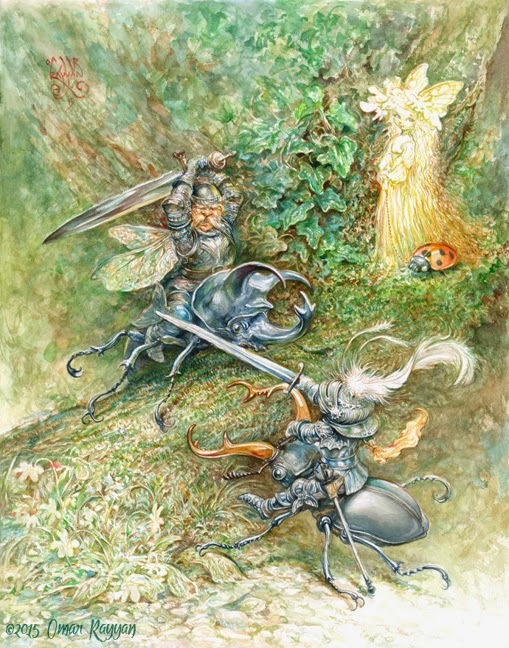 It's okay to say "children's illustration", "Rackham-esque art" or just "fairytale art", but fairy art just has a really bad rap with the general public. And fairy artists, even worse. 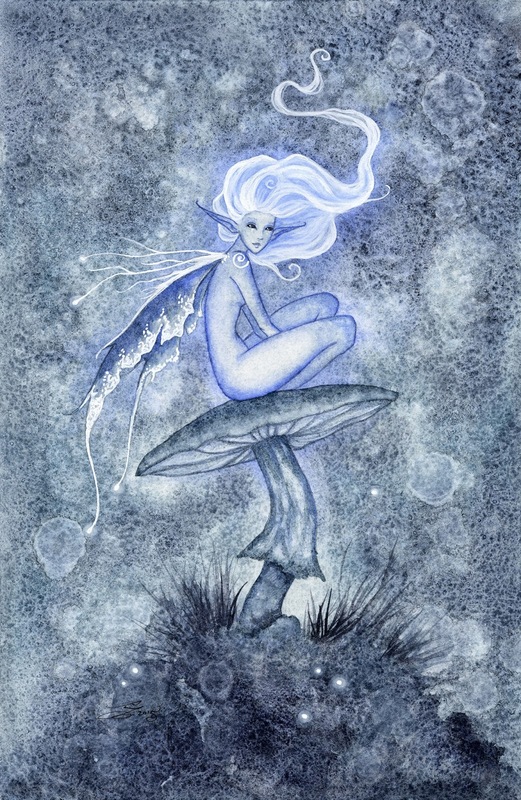 I know that fairy art isn't the dribble most people think it is; this was the impetus for FAERIE three years ago. 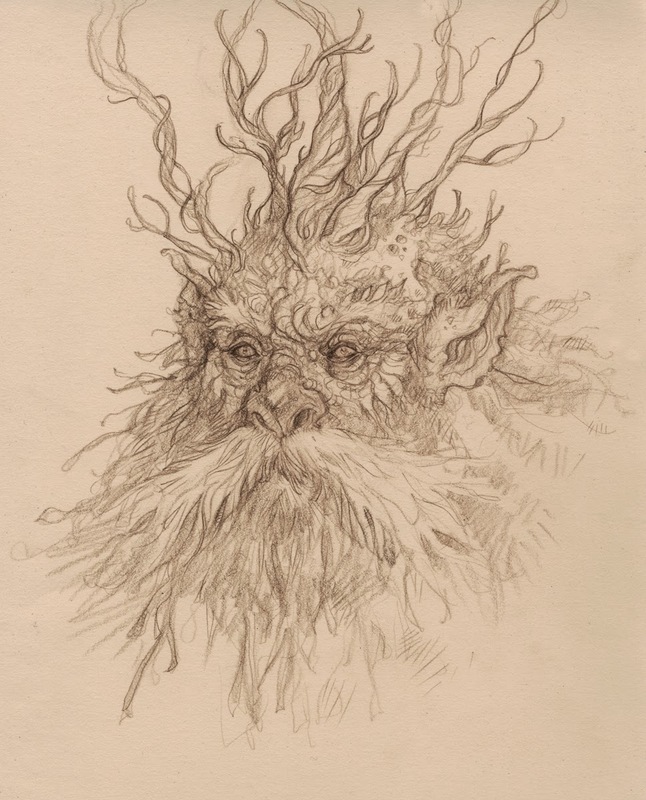 With the help of local illustrator and workshop developer Tara Larsen Chang, we pulled together many of the most notable fairy artists of our current time, people like Amy Brown, Stephanie Pui-Mun Law, Gary Lippincott and of course, Brian Froud. We also introduced up and comers such as Yoann Lossel, Emily Fiegenschuh and Heather Hudson to the mix. It was a huge success, with artwork more sophisticated than cute, some of it dark and mysterious, but more importantly, very well done. Now in it's third iteration, Tara continues to cast her net to collect artists both familiar and unorthodox. 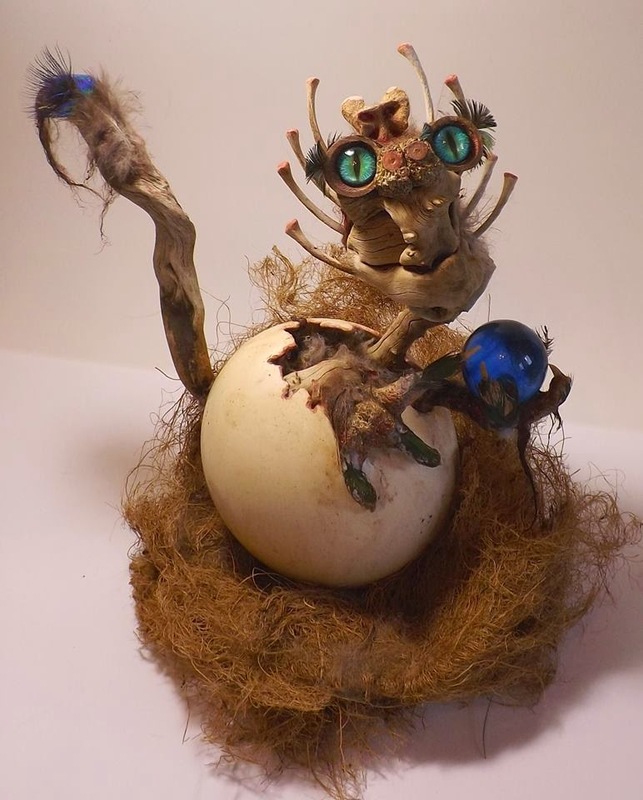 She invited a few regulars (such as the entire Froud family) as well as a few fresh faces, like Darlene Nelson, who works with found natural objects acquired from the desert. 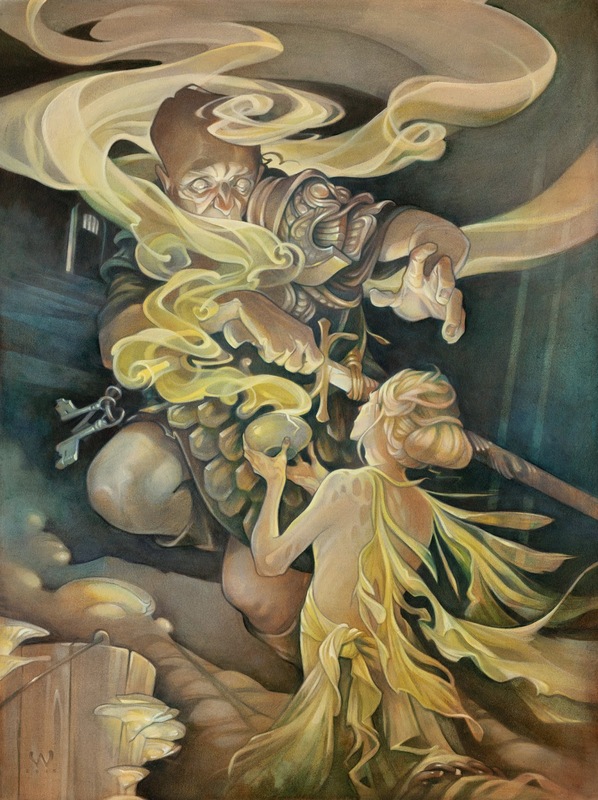 She also invited a few artists that have been dying to dip their hands in fairy ink, such as fantasy illustrator Mark Winters, who paused his normal schedule of digital illustration to create an original oil painting. 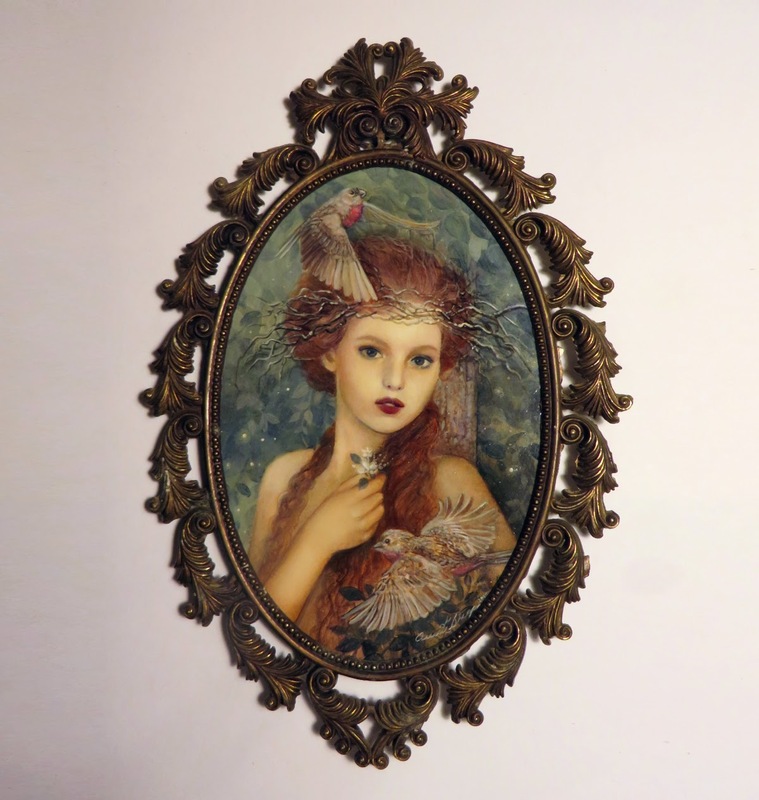 Darlene's piece definitely took the Whimsy Award for this show, followed closely by Omar Rayyan's Beetle Battle, Sheila Rayyan's Owl and Cat Faerie spoons, and the Frouds - Wendy, Toby, and Brian - with their respective entries. 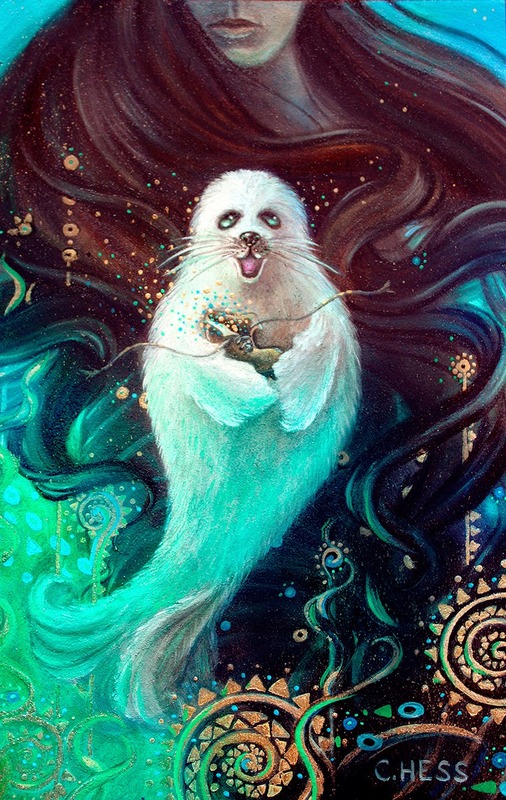 Christina Hess's Selkie Pup is probably the cutest piece in the show, but don't be fooled by the "cute" label, she is damned good at painting, and her intense fan following can easily back that up. She's actually the balance this show needs, as many of the pieces are as dark and melancholic as the eastern seaboard this last winter. There are some strange similarities with the art this year. 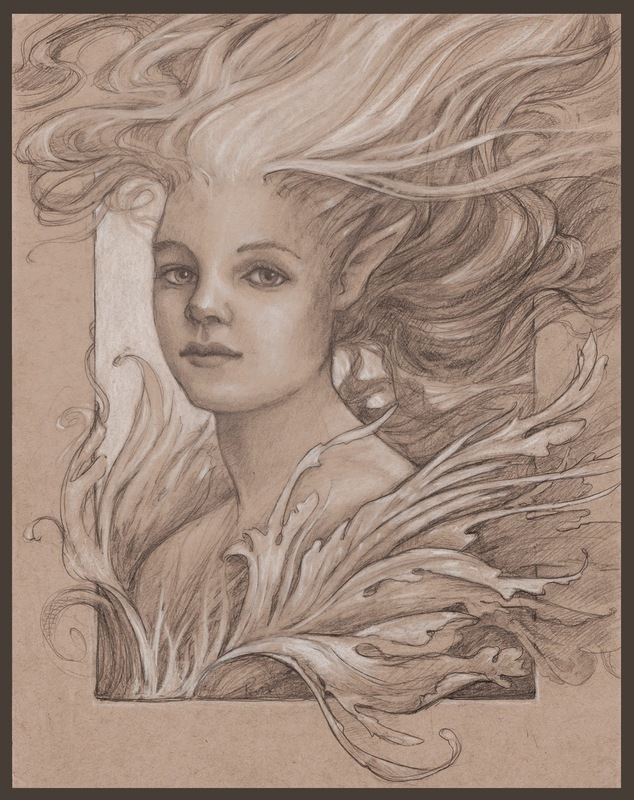 For example, some of the portraits look as if they belong together, such as Cory Godbey and Renae Taylor's drawings. 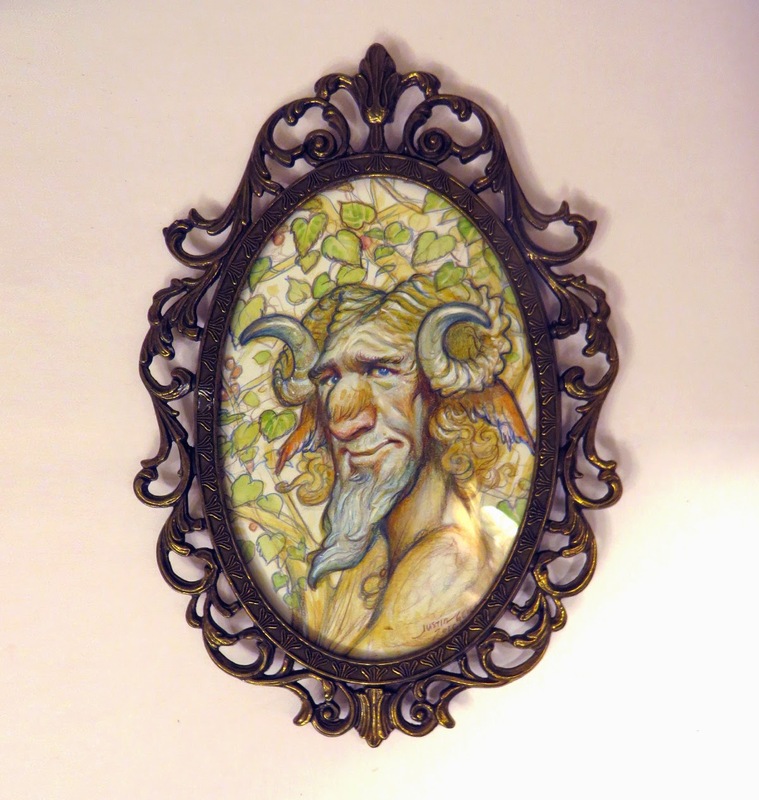 Some were actually intended to work together: newlywed artists Justin Gerard and Annie Stegg-Gerard created a Faun and Dryad series of very tiny paintings in antique frames. 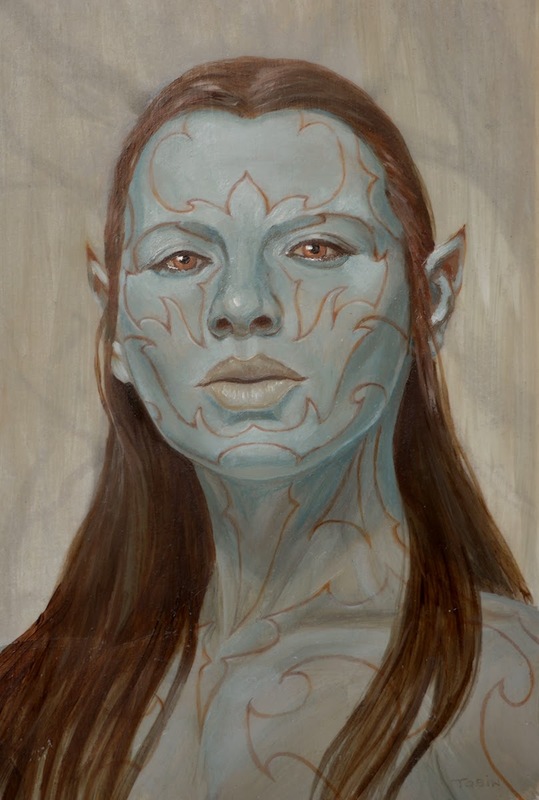 Blue skinned elven woman dominated many canvases, which was a little interesting since I don't think any of those artists actually saw each other's work prior to the show (with the exception of Sara and Mark Winters). Lindsey Look and Paul Tobin literally live a world apart, yet their fairies were similar enough to make the viewer take notice. We had a few nods to A Midsummer Night's Dream (both Tory Taber and Thomas Dodd depicted the fairy queen Titiana). Night scenes were popping up this year too, which included Amy Brown's sudden departure from her striped-socked fairies, and Karla Ortiz' fairy and frog vignette. 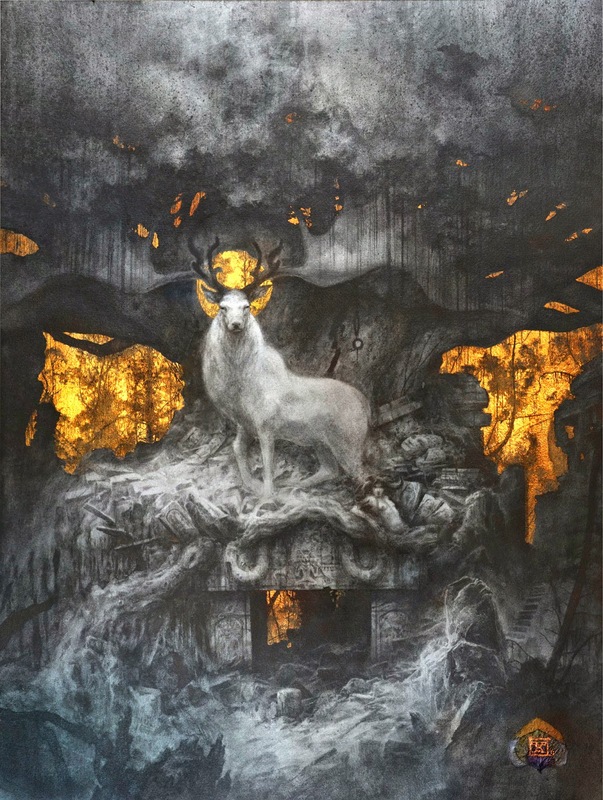 With over 30 pieces of art, this show could have been a cacophony of styles and visions, but instead we see the world of the Fae in rich tones, hues, textures woven together like a beautiful shawl. 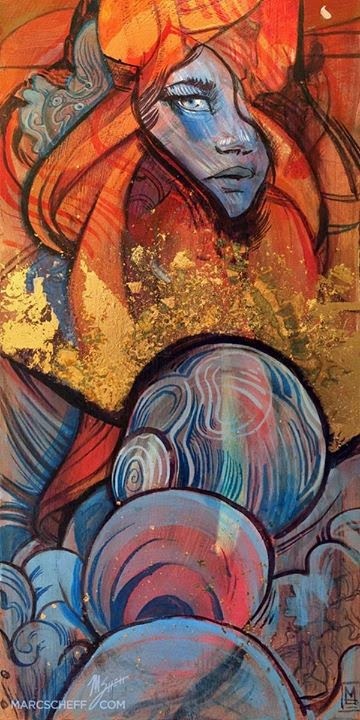 The artists are clearly masters of their domains, but all of them allow the fairies to rise up from their chosen mediums and claim the minds of those who behold them. I can't stress enough of the importance of seeing this work in person: digital or printed reproductions absolutely pale in comparison to the real thing. For someone like me, seeing watercolorists Omar Rayyan, Stephanie Pui-Mun Law and Paul Bonner lined up in a row is an exercise in amazement. All three have their own distinct ways of painting, one can hardly believe it's the same kind of paint in each instance. Incidentally, Wylie Beckert's formula for painting MUST be cracked: her painting doesn't even look real - and yet, it is. Could you guess that this piece is a 24 x 30" mixed media oil painting? But the art geek in me digresses... let me put my pointy FAERIE hat back on and say that once again, Tara has knocked it out of the ballpark with this collection, making the statement "I make fairy art" no longer an artistic faux pas but a clear stamp of respect, at least in the world of imaginative realism and fantasy. 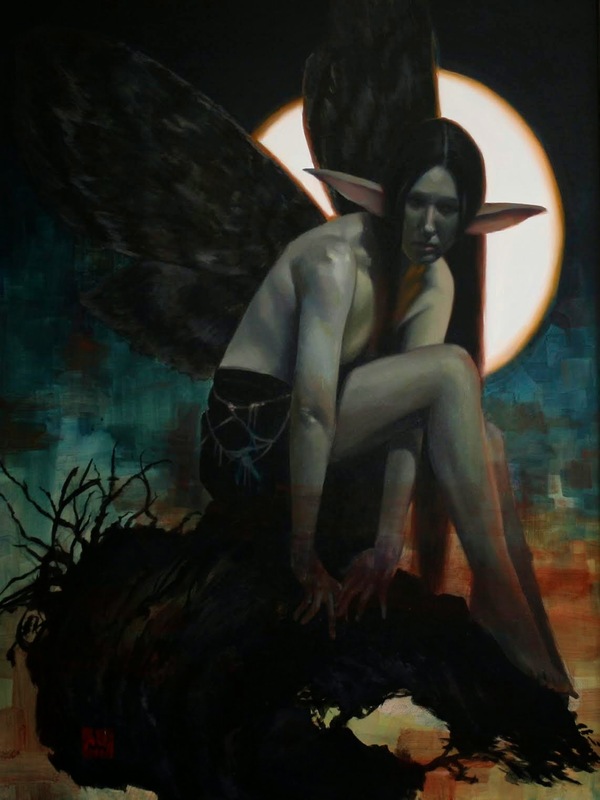 No longer the flaky, ditsy little sister genre to the fantasy world, fairy art is all grown up, sophisticated and mysterious, gentle to those she loves and unmerciful to those she disdains. 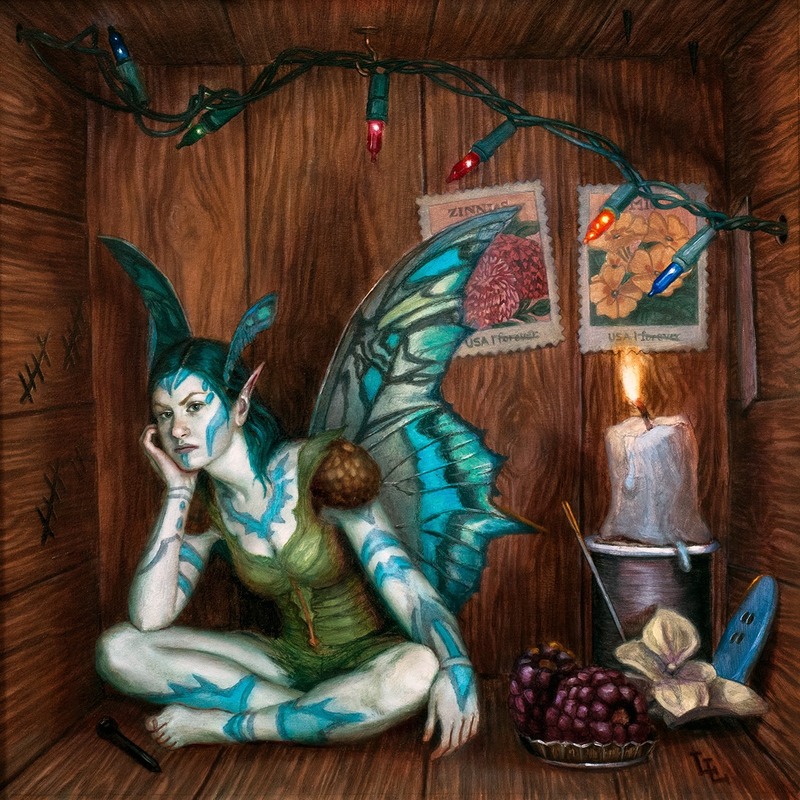 I absolutely insist you look over the Catalog (only available until the show ends April 4th), read the wonderful statements, and if you are in Seattle this month, make your way down to see the FAERIE's live, before the flit away for another year. copyright 2013 Krab Jab Studio. Simple theme. Powered by Blogger.